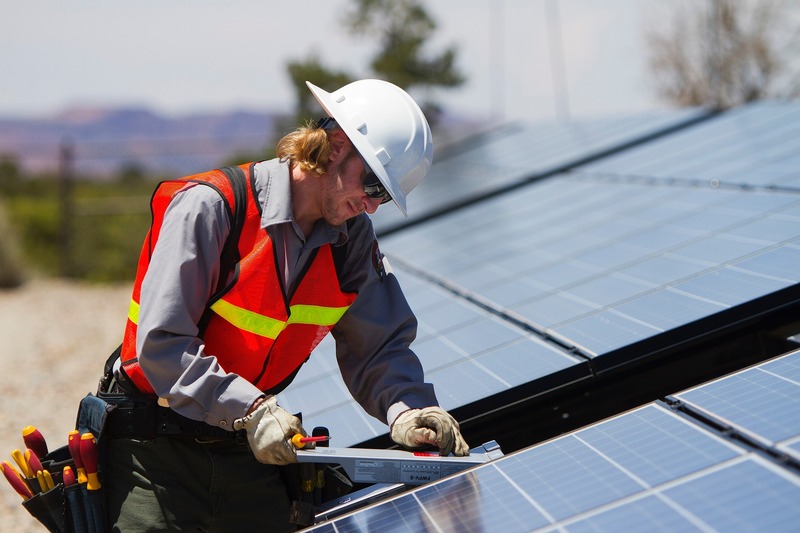 The BizSolar program gives commercial and industrial customers the opportunity to sell solar power to Utah Municipal Power Agency (UMPA) under a long-term power sales contract. This solar program is designed solely for organizations located within the UMPA member cities that are in good standing with their local member electric utility. UMPA is looking for clean renewable electric power to supplement the power supply to its members. This solar program gives customers the opportunity to tap the potential of solar generation to help supply a portion of the demand with the support of the UMPA and the local member electric utility. The organization would need to build and operate a solar generating facility (greater than 25 kW and less than 750 kW) and be willing to comply with the terms and condition of the solar program. I have the privilege to represent the citizens of Provo on the UMPA Board of Directors. In that role, we are working with our local leadership at Provo Power and the staff of UMPA to create several new programs for the electric customers of Provo. One of the newest programs is called BizSolar. This program promotes commercial businesses in Provo to install solar panels and be paid for all the clean and renewable energy generated at a very competitive price. I am hopeful that several businesses will take advantage of this opportunity. It’s like net metering for residential customers. Also, stay tuned to learn more about the new community solar program for Provo customers call “SharedSolar”. It’s going to be awesome. We are starting to see more businesses coming to Salem. Now our businesses can go “green” if they want. Salem is participating in a new program called BizSolar which buys all the electricity generated by solar from commercial developments. We hope that some of our businesses take advantage of this program. We are excited to offer our businesses in Manti the opportunity to install solar for their operations. This is a great program in which UMPA will buy all of their generation at a competitive price. We hope some will take advantage of this program. WHAT IS THE BIZSOLAR PROGRAM? BizSolar is a new program developed that allows commercial customers to install solar panels at their place of business to generate renewable electricity to supplement their electrical needs for the business and benefit the community. The program is voluntary and may not make financial sense for all businesses. We suggest you talk to a qualified solar system vendor to learn more about the cost and benefits of solar generation for your business. WHY DOES MY CITY OFFER THIS PROGRAM? First of all, we want to give our customers choice. For several years we have offered a “Net Metering Program” for residential customers. Now, we want to offer a program for those businesses that want to install and operate a solar system. We suggest that you contact several qualified solar system vendors located in Utah. They will be glad to visit your business and propose a number of different systems to select from. With the information available on our website, they should be able to explain the financial costs and returns along with all of the environmental attributes of a system. WHAT SIZE OF SOLAR SYSTEM SHOULD I INSTALL? The program is for 25 kW or greater. The size of system for your business depends on your level of interest in renewable generation for the business and your ability to finance the system. These are questions you should seek the advice of qualified solar system vendor. This program is designed for UMPA to buy and pay for renewable energy generated by the businesses’ solar panels. The business will continue to pay the city utility for their usage of electricity under the same rate structure. However, the cost of electricity will be offset by the payment to the business by UMPA for all of the renewable energy generated. Levan 435-623-1959 | 20 N. Main St.
Manti 435-835-2401 | 50 S. Main St.
Provo 801-852-6000 | 351 W. Center St.
Salem 801-423-2770 | 30 W. 100 S.
Spanish Fork 801-804-4506 | 40 S. Main St. Yes. This is an important financial and operational transaction. There is an interconnection agreement between the business and the electric utility to cover the interconnection to the electrical grid. And a second agreement between the business and UMPA to buy and pay for the energy. A sample of both agreements are online. Email application to your local member energy supplier. The email address is provided in the application. 8) City And Agency Perform Inspection And Observe Commissioning.